The mission presented an open letter to Spanish judiciary authorities in solidarity with Justice Baltasar Garzón. This initiative garnered the support of 59 human rights organisations in many countries and over 150 jurists, lawyers, judges, academics and human rights defenders worldwide. 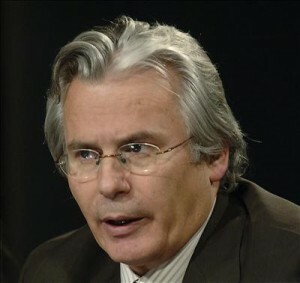 The mission requested that the criminal investigation against Justice Baltasar Garzón for prevarication be dropped, as Justice Garzón acted in accordance with international law. The chargés de mission also requested that it be clearly established that the 1977 Amnesty Law does not apply to crimes against humanity, and that the Spanish State conforms to its obligation to investigate these crimes committed during the Franco dictatorship, in particular enforced disappearances. The letter that was presented shows the perplexity of the signatories regarding the decision of the instructing magistrate of the Supreme Court’s Second Chamber of February 3, 2010 on the case against Justice Baltasar Garzón to continue the proceedings for prevarication, on the grounds that the latter assumed competency to investigate crimes committed during the Franco dictatorship. He is allegedly responsible of disregarding the 1977 Amnesty Law, of violating the principle of non retroactivity of criminal law and the principle of legality and prescription of criminal action.